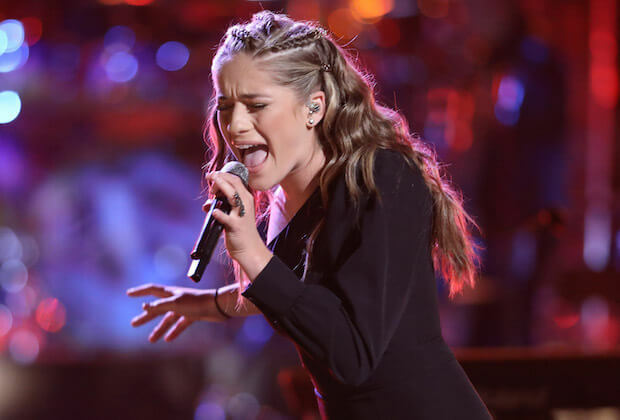 We spoke to The Voice favorite Brynn Cartelli a week ago and she is delightful. If you just met Brynn you would think she was a smart, nice teen girl. But then she opens her mouth to sing and blows us all away. But who is this Brynn Cartelli that’s stolen the hearts of America? Brynn is from Longmeadow, which is a picturesque town in southwestern Massachusetts. She is a high school freshman at Longmeadow High School. Did we mention Brynn was young? It was her birthday this week when she performed and moved forward on The Voice. She is now 15, old enough for a learner’s permit! She’s extremely popular on YouTube. Her last performance video has 1.9 million views as of this writing. Kelly Clarkson said she is going to win this year with Brynn Cartelli. We asked her a very important question, “What’s her favorite ice cream flavor?” She aid anything with Oreos. She also plans to buy a lot of ice cream if she wins. Brynn can’t live without her phone. What a surprise for a 15 year old girl in 2018. Her hero is Tori Kelly, who was a contestant on that OTHER talent show, American Idol. Brynn started singing early. According to her dad, she used to sing in the crib. Talk about meant to be. Mel and I think she will be in the top 2 this season on The Voice.